If Humans Were To Disappear Completely How Long Would The “Ghost Nets” Of The Modern World Linger? Ghost nets are derelict fishing nets that have been lost or discarded by fishermen and left to drift the oceans. These nets entangle, starve, and kill vast numbers of marine animals every year — everything from whales, to turtles, to sea birds, to saltwater crocodiles, to dolphins, to seals, to dugongs and manatees, are known to be killed by them. Owing to being made out of durable plastics, and also owing to the reality that after years of drifting they become too logged with debris and heavy to easily be removed from the water, they are often essentially destined to remain a deadly hazard to marine life long after their initial working life as a fishing net has ended. Much of what is produced nowadays by humans faces a similar future — a short working life as a disposable consumer good or tool of industry, often followed by decades or centuries of existence as debris, and then millennia as micro plastic pollution. As an illustration of that reality: pelagic micro plastic pieces are now estimated to outnumber marine plankton at their highest concentrations, towards the centers of the world’s ocean gyres, by a factor of over 10-to-1. If that’s the situation already, and things are only getting worse and worse by the year, then what will the situation be like in 2100? In 2200? I don’t mean this article so much as an idealistic call to action, but rather as a means of stating what should be obvious: the “trash” of the modern world will linger long after the phrase “the modern world” ceases to mean anything; it will nearly all still be here for millennia, affecting the natural world in ways that even now we wouldn’t be able to accurately predict. Earlier civilizations and cultures of course also left behind their fair share of garbage — but this garbage largely either: rotted in short order; was easily repurposed (stone buildings and ruins looted to build hedges, etc); or is largely benign or even beneficial to local wildlife (shell middens, stone ruins, earthworks, etc). Can the same be said of the garbage that we produce and throw “away” everyday? Our plastic garbage? Our nuclear garbage? Our persistent chemical pollutants garbage? Below I’ll provide an overview of current best-guesses as regarding the future of the wastes we are now producing freely to keep the consumer world going. Enjoy. 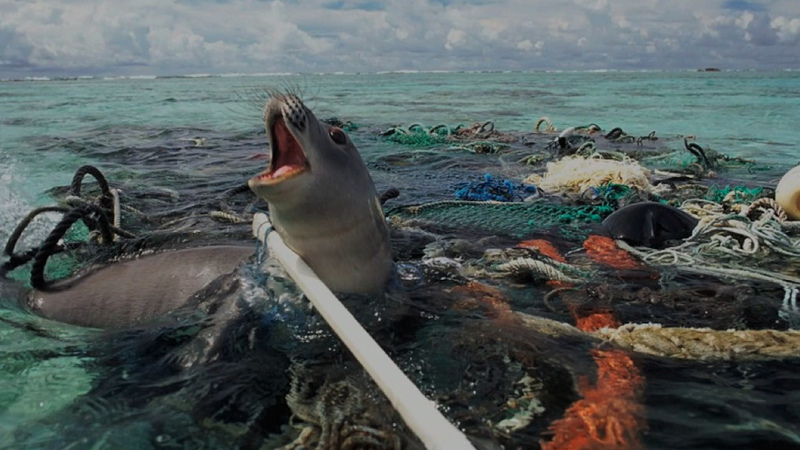 As of 2006 (12 or so years ago…) oceanic plastic pollution was estimated to kill hundreds of thousands of marine mammals a year (dolphins, seals, whales, dugongs etc. ), and several million birds and fish a year. While those are the direct numbers relating to actual death by plastic, the true toll on the health of ocean animals is in fact much, much higher — as the plastic pieces and micro plastics, being consumed by essentially all marine animals now, are essentially “sponges” for various forms of chemical pollution now spread throughout the oceans. Research has found that marine plastics can absorb common pollutants, such as polychlorinated biphenyls (PCBs) and heavy metals, to the point of eventually being host to levels millions of times higher than those found in surrounding waters. So, effectively, the ingestion of marine plastic also means the ingestion of high levels of chemical pollution. Something very notable on that count is that high levels of long-banned chemicals such as DDT have often been found in some marine plastics — which means that despite DDT, and other dangerous chemicals as well, supposedly possessing half-lives of only a decade or in soil they can persist for far longer in the marine environment. The persistence will largely be via micro plastics and plastic fiber pollution, which easily gives such pollution a foothold in the environment — and, perhaps more importantly, great mobility in the oceans as well. 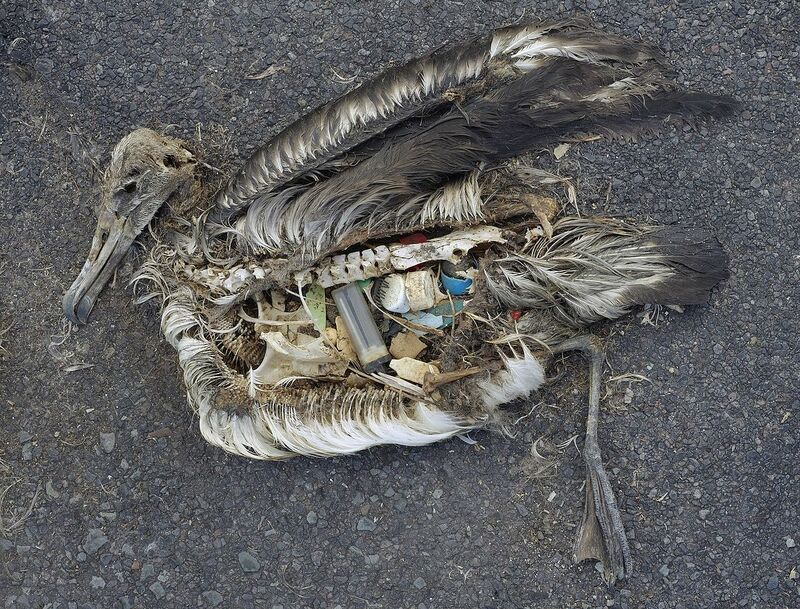 On that note high levels of synthetic (plastic) fibers are now being found in so,e of the deepest trenches of the oceans — in other words, even the most emote parts of the world’s oceans are now concentrating micro plastic pollution. These plastic fibers are being found, worryingly, actually inside some of the animals of the deep ocean — which leads to some existential questions. These micro plastic fibers are thought to largely originate with synthetic fibers and clothing, packaging, fishing equipment, and disposable plastic bottles. You may recall that a recent study found that plastic fibers are now common in the tap water of much of the world — with most people now consuming a fair amount of the stuff every day just via the water supply (not even factoring in food or salt consumption, and inhalation). As time goes by, assuming no immediate changes to plastics use, the deep trenches of the oceans will become increasingly congested with plastic and chemical pollution. It’s an open question what effects this will have on the biological processes of the deep sea, and what this could lead to (hydrogen sulfide emitting oceans?). As far as the micro plastics and synthetic fiber pollution itself? In the deep oceans that will be around for several millennia at the least, possibly far longer — there are no clear answers on the matter. Such pollution closer to the surface, and throughout the groundwaters of the world, should persist for several millennia, or longer. As just noted above, accompanying the most obvious forms of pollution — plastic bags, bottles, fishing line and nets, etc. — there is a vast amount of invisible (or nearly so) chemical pollution now present in the world, and being released in large quantities every day. This pollution — comprising various types of persistent pollutants capable of accumulating in living organisms over time and exerting multi-generational effects, amongst others types — is often concentrated around urban areas, but can also now be found dispersed widely throughout the remaining natural environment. Many of these pollutants were released into the environment as a result of their widespread use as flame retardants, pesticides, herbicides, or in conjunction with industrial or mining activities. Sites that are known particularly to be particularly saturated with such chemicals and pollutants are referred to as “Superfund Sites,” with areas of known contamination at lower levels simply being referred to as “brownfield” sites — rather than “greenfield” sites. Regarding these sites the most common pollutants are: pesticides, toxic solvents, heavy metals, spilled hydrocarbons, radioactive materials, etc. While some of these contaminants will to a degree break down over time, some won’t — the heavy metals in question will be there effectively “forever” (from a human’s perspective) depending upon local climate and geology. Remediation efforts exist, but they are in general not extensive or well funded. 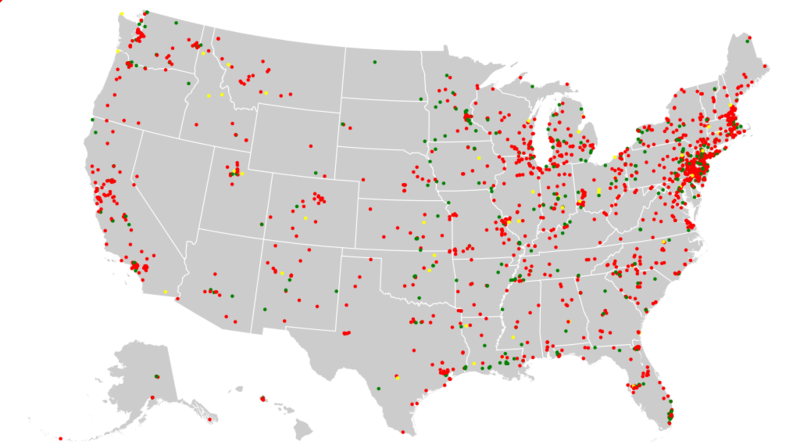 Despite the moniker “Superfund Sites” — funding is actually fairly limited in the US. How long will also of this chemical and heavy metal pollution persist in the environment, presuming that remediation in the years immediately ahead doesn’t occur? Long enough that people living 500-1,000 years from now (presuming that people are still around) will continue to be affected by it. Obviously all of the other various types of life in the regions in question will be affected as well. Something to note — discussions of brownfield and Superfund Sites concerns only sites of known contamination; there are vast numbers of unmarked chemicals disposal sites of various types throughout the US, and elsewhere, as well. Given that such pollution is associated with Parkinson’s Disease, Alzheimer’s Disease, birth defects, stillbirths, neurological damage, developmental disorders, endocrine system disruption, cancer, organ damage, etc., it seems very likely that future generations long into the future will be very negatively affected by current human activity. Nuclear energy technologies are controversial partly due to the fact that they generate nuclear wastes which will remain a health hazard for many thousands of years. In other words, it’s a “solution” to electricity sourcing problems that generates a “problem” that will persist far longer than the people who create it will — a problem for future generations, and/or possibly for organisms that will be around long after humans are gone as well. The primary nuclear wastes being discussed right now are: spent nuclear fuel rods; reprocessed isolated fission wastes (created via recycling of spent fuel rods); depleted uranium (leftovers from ore processing); and contaminated protective materials and soils. To start with spent nuclear fuel rods — these typically contain many very long-lived and/or dangerous components; including uranium-234, plutonium-238, neptunium-237, americium-241, etc. The terminology “and/or” was used because the most dangerous component, plutonium-238, possesses a half-life of “only” 87.7 years. What that means is that after 87.7 years have elapsed that half of the element will have decayed to a less radioactive form or element. What should be realized, though, is that if you were to ingest even the smallest possible amount of plutonium that you would still die gruesomely over the short-term. In other words, there’s no “safe” level of exposure to plutonium. As a comparison here, there’s uranium-234 (which possesses a half-life of 245,000 years), and there’s neptunium-237 (which possesses a half-life of 2,144,000 years). Despite possessing very long half-lives, they are still quite dangerous materials — even if perhaps less so than plutonium. Also noteworthy is that there are some dangerous components that possess half-lives of more than 15 million years. Something else to consider here, though, is the reality that biological uptake of certain radioactive materials can make them far more dangerous than could at first seem to be the case — hence the occasional public scares about radioactive iodine; thyroid cancer is pretty much a given with prolonged exposure without protective steps being taken. Moving on to reprocessed concentrated fission wastes…much the same applies as with spent nuclear fuel rods — very dangerous, and for a very long time. Also, very hard to safely contain. With regard to depleted uranium, uranium mining wastes, and radioactive soils, groundwater, and materials … these are perhaps more dangerous in a way, as they so “invisible.” To explain, radioactive waste materials and soil will look exactly like non-radioactive waste materials and soils of the same type … except that they will also be serious health hazards. Heavily contaminated sites are particularly dangerous for that very reason: On the surface there’s nothing that will stand out and make it clear to those wandering into such places that they are as much of a health hazard as they actually are. As it stands, the US Department of Energy reports that there are “thousands of tons of spent nuclear fuel and material,” vast “quantities of contaminated soil and water,” and “millions of gallons of radioactive waste,” in the US alone. Other large nuclear nations will of course possess substantial nuclear waste stores now as well. To explore those numbers a bit more…to use the Fernald site in Ohio as an example — there are currently reportedly 2.5 billion pounds of nuclear waste there; 31 million pounds of unused uranium product; and a portion of the Great Miami Aquifer that exists under the site totaling 223 acres is known to possess elevated uranium levels (above the “safe” limit). And that’s just one site. When will site be cleaned up? Who knows. Currently there are at least 108 comparable sites in the US. Considering the dangers accompanying nuclear wastes you’d think that they would handled with care, right? Think again, every couple of years there’s a news item or two depicting the carelessness with which people approach the issue — one of the most notable of which recently was the news that all throughout the 1980s and 1990s oil drums filled with radioactive and toxic wastes was illegally disposed of by Ndrangheta mafia clan in Somalia, and also closer to home just off the Calabrian coast. Why was the Ndrangheta mafia clan disposing or radioactive wastes in Somalia for decades, you ask? Because radioactive wastes from France, Italy, Germany, and Switzerland, have to be gotten rid of somehow right? And managers at Enea were apparently happy to pay the clan to do so (it was certainly far cheaper than dealing with the nuclear wastes in any legal way). That story is just one amongst a great many though, corruption and the handling of nuclear wastes seem to go hand-in-hand, so I wouldn’t expect the issue to be dealt with in any real way before the modern world finishes imploding. The nuclear wastes of the modern world will be around for a long, long time into the future to poison the unsuspecting. While there are potential solutions to dealing with some of the most dangerous wastes, they are fairly expensive, so don’t expect to see them employed on a large-scale. What’s more likely is that many countries will go back to the common practices of the 1950s, and simply start dumping nuclear wastes in international waters if there is a need to be rid of them. As many of the world’s largest cities flood over the next 100–200 years — with large populations often just fleeing following large storms or flood events, and never returning — there will be a vast amounts of urban infrastructure left to decay and leach into the waters of the oceans. In other words, as coastal cities are abandoned all of the materials currently incorporated into the buildings and infrastructure of these cities will be left to rot and to poison the immediate region, and also to poison the wider world owing to the existence of oceanic currents. The materials that will be leaching into the oceans via these drowned cities will be much the same ones we’ve just discussed — plastics and other synthetic materials, persistent chemicals, heavy metals, and radioactive material. Next time that you’re in a major coastal city, just look around. Pretty much everything that you see will end up underwater eventually, and except in certain limited circumstances not much will be done to clean things up before beating a retreat for higher ground (owing to the costs involved of doing so). The world’s topsoils are being degraded and eroded at rates possibly never seen before on a large-scale. Modern industrial-style agriculture is essentially a rapid strip-mining of the world’s ancient topsoils for the purpose of a short-term profit-and-surplus binge. Many of the formerly most fertile regions of the world have over recent times been reduced to a degraded state that won’t allow for biodiversity levels similar to those present before “development” to reappear, not for a very long time anyways. Some earlier civilizations were partly responsible for such degradations as well — with much of the Near and Middle East experiencing vast deforestation, top soil erosion, and desertification, during the period of their civilizations’ heydays. The reason that the Middle East, the Mediterranean, North Africa, and the Near East possess the relatively dry and non-fertile climates that they now do is largely because of earlier large-scale agricultural exploitation in those regions. Modern industrial-style agriculture eclipses these earlier approaches with regard to soil erosion, and of course adds to them as well. Top soil creation, it should be realized, is a slow, slow process. The point that’s being made here is that accompanying all of the widespread chemical, plastic, and radioactive waste pollution discussed above, and accompanying the toxic coastal areas, will be vast formerly agricultural wastelands where topsoil is either non-existent, or very limited.